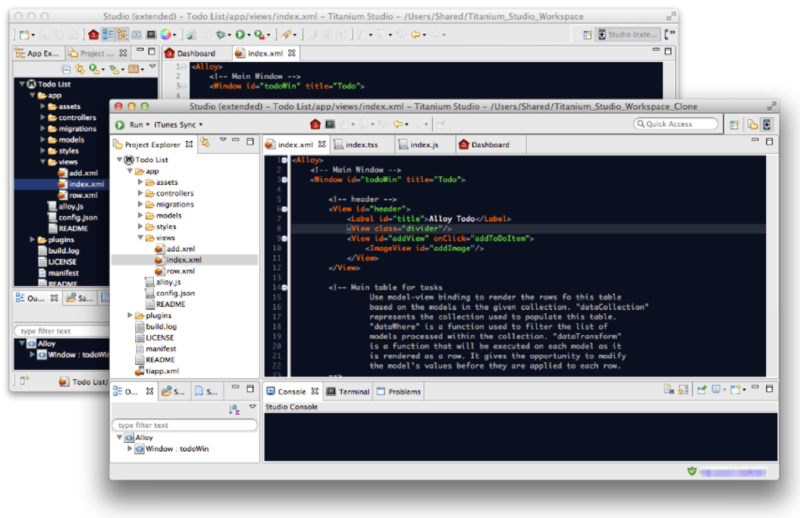 Appcelerator Titanium is a development kit aimed to design mobile and desktop apps. It comes with a bundle of products that will be enough to develop a full game or any other kind of app. Titanium is so widespread that it is estimated 10% of mobile phones in the world run apps made with Titanium and there are already over 800,000 developers using it. It was once open source, but the Titanium version is a paid app, and not a cheap one actually. Appcelerator Titanium is actually a bundle of apps that will let you create games or any other kind of apps so, we will review the bundle (or a large part of it) here and let you decide if this is the technology you need to build your own apps and games. 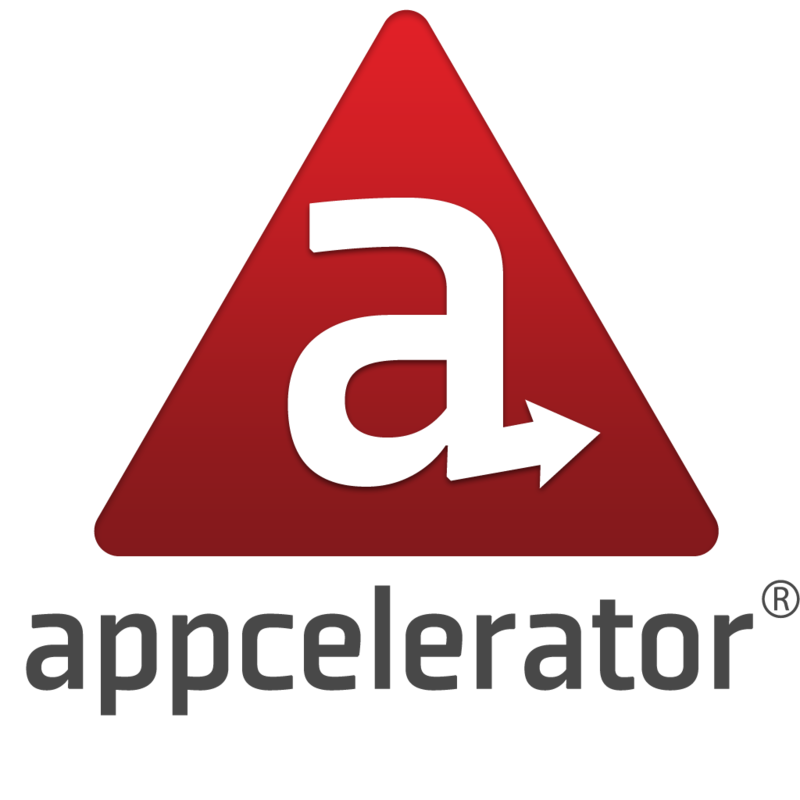 But first, we will review the pricing of Appcelerator Titanium. 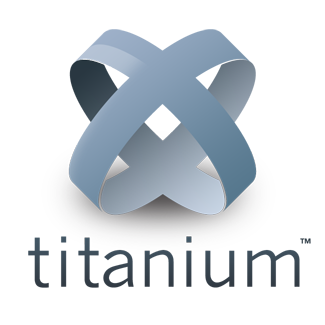 The indie version comes with Titanium, Appcelerator Studio, Arrow builder and User analytics and the price is $36 per month with a month free if you pay annually for a total of almost 400 dollars a year. To be an indie version it is expensive and actually if your app is going to use modules or you want to add some serious power to it you will need the Pro version priced at $99 per month paid annually for a total of $1188 per year. That is pretty high if you compare it to other pricing plans for other platforms. Oh and both plans are per seat so if in your team you have 3 developers, multiply that price by 3. And then there is the Enterprise version with premium support and other features you probably won’t need as it's barley mentioned in the website. They follow the “we will review your project, your company and we will try to squeeze as much juice out of you as we can” policy that we hate to see in many SDKs. So, it is clear Appcelerator Titanium it is an expensive product. 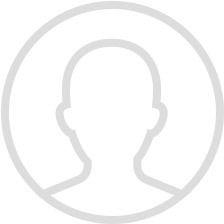 There is also a marketplace where you can buy assets for your games. This includes modules, templates, extensions for web services and recently they've also included cloud services. The marketplace is very wide and you can find almost anything you need however, things don’t come for cheap much like the kit itself. It is also not completely Cross-Platform. You can build apps for different platforms but you can’t just write the code once and then deploy it across several platforms. You have to develop for each one of them although you can reuse some code. There is a module called StoreKit that will allow you to make in-app purchases for your app but the truth of the matter is it isn’t working well at all. It is buggy and it doesn’t seem to work as many programmers expect, so you should stay away from this. The main problem is that 72% of the revenue on apps comes from in-app purchases. The community is large, however the official forums are very biased. They delete the awful comments that many developers write because this SDK is quite buggy. It is not only about the Storekit, there are many developers complaining about the rest of the package and as soon as they detect some criticism in the forums, they gete deleted. They've also deleted most of the help available from the web for no apparent reason and even though there are a lot of developers who used Appcelerator, with the new pricing scheme and the lack of support in the new paid version, they are moving away from it at a very fast pace. There are many bugs reported that never had a fix. The pricing scheme is outrageous for many developers. Some of the apps are not well responsive when developed with Appcelerator. The fact that you can’t use in-app purchases with their very buggy Storekit. Once free and once open source, but no longer. Appcelerator has boosted the prices of what was once a free app but the quality of the product hasn't justified the need price. The bugs reported, the fact that the negative comments are constantly deleted from their forums and the lack of support has turned what was once a great product into an average one and, if we consider the price of the Pro version which is the one you are likely to use if your project is a serious one, there are many other toolkits and SDKs working much better for that price or cheaper. Even free. Although there are many apps built with this system we clearly recommend to stay away from Appcelerator Titanium at least until they fix all the problems.